Got a band? Want to be featured? What's The Social Radio about? 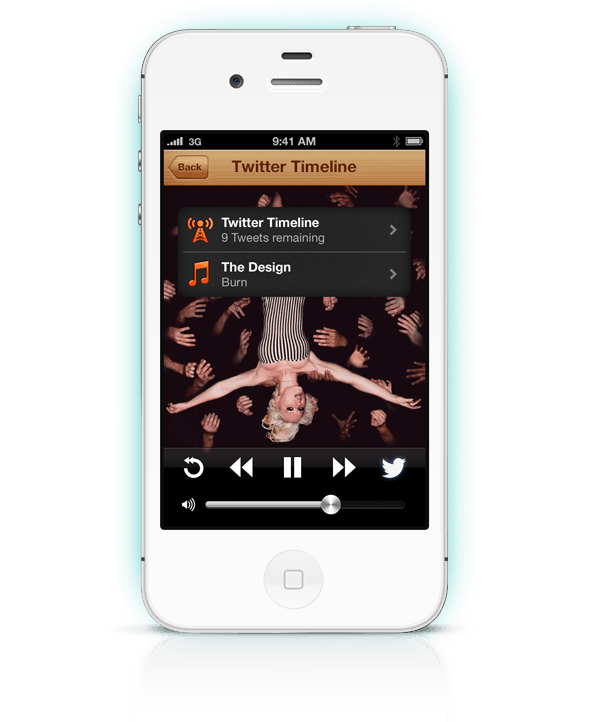 Listen to your Twitter Timeline, Lists, Searches or any Trending Topic, mixed with your Favorite Music! Listen to tweets in their original language: English, Spanish, French, Portuguese, Russian, German, Italian & more to come! Add your music to the mix! 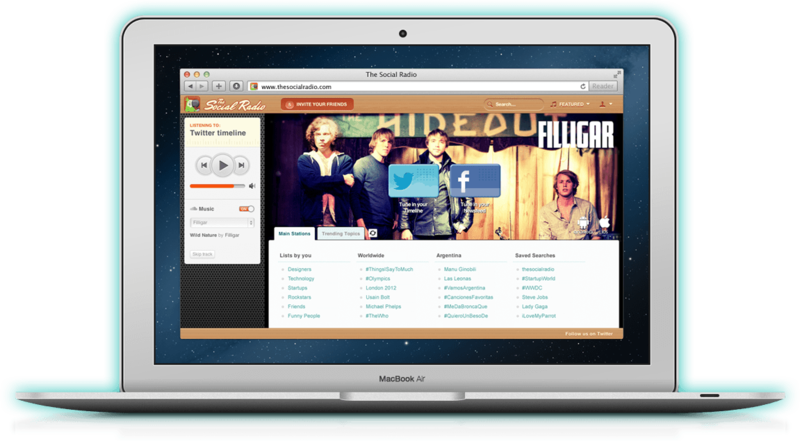 Mix your Twitter streams with your favorite Music from online audio distribution platforms or from your own playlist! Tune in to The Social Radio at Anytime, Anywhere. It works for the Web, Android and iOS. Vincent likes to listen to Twitter while he drives his car. He added his playlist to the mix, and since then traffic jams are not boring anymore! Every weekend, Alice rides her bicycle to the coast while listening to her twitter Timeline on her Android Phone. Do exercise with a smile! Vincent likes to run a few laps every morning before going to work. It helps him to start a brand new day with more energy while keeping up with his twitter feed on his iPhone! Hey you, Multitasker! Take this! Alice gets to the office, turns on the PC and tunes in to her Twitter feed on the Web. She doesn't get distracted by reading Twitter anymore. Now she listens to it and keeps being productive!